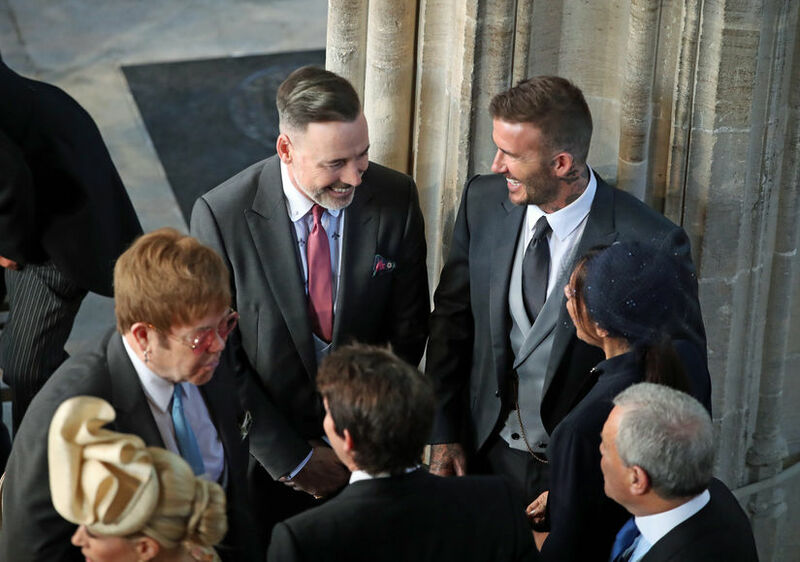 Stars Align for Harry & Meghan: All the A-List Guests! 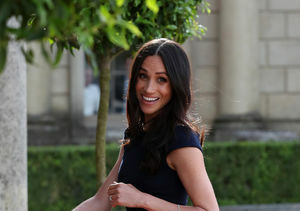 As a joyful Meghan Markle made her way from Cliveden House in a vintage Rolls-Royce, accompanied by mom Doria Ragland, 100,000 people waited around Windsor and over 2,000 guests awaited her arrival at St. George's Chapel... among them some of the biggest stars in the world! Go, Oprah! The media mogul arrived just behind Idris Elba and his girlfriend. 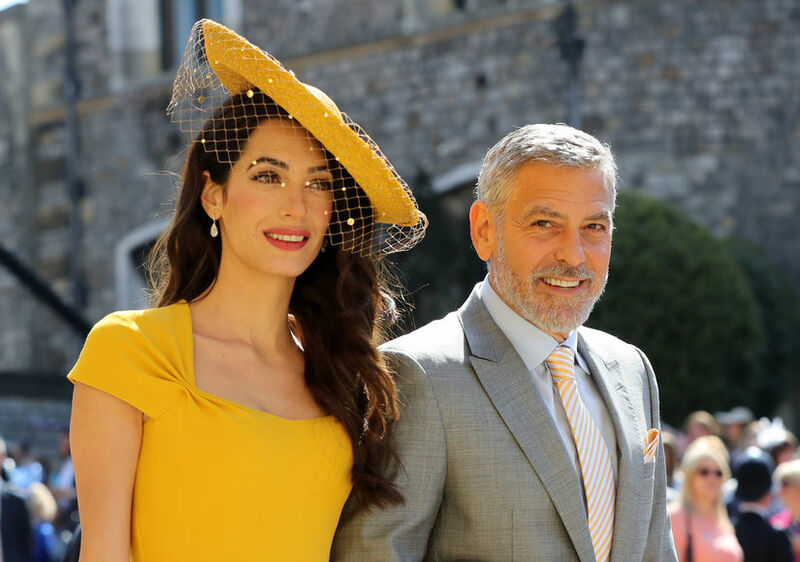 Guests arriving for the ceremony included George and Amal Clooney, Oprah Winfrey, Victoria and David Beckham, Sir Elton John, Idris Elba & girlfriend Sabrina Dhowre, and singer Joss Stone. Best-dressed? Amal was the center of attention among the A-list guests! 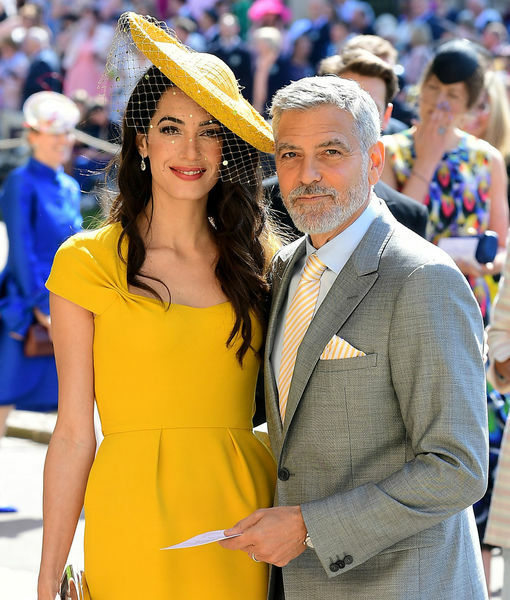 Amal was a stand-out stunner in sunny yellow. Her fab jewelry included Lorraine Schwartz 17-karat pear-shape drop earrings set in 18-karat white gold. Mrs. Beckham paired an elegant black number with festive red heels. The Beckhams could be mistaken for royals themselves. 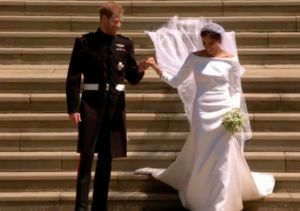 Also turning heads was Sarah Ferguson, the Duchess of York, a veteran of royal weddings herself as the former wife of Harry's uncle, Prince Andrew. "Fergie" looked regal in a dark suit with pale pink cuffs and an exquisite, veiled hat atop her flame-red updo. 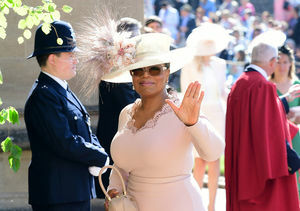 A svelte Oprah showed off her curves in a dusty rose number with lace hems. 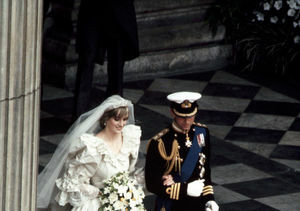 Her dramatic hat bore a floral spray befitting American royalty. A similar shade was also the choice of James Corden's wife Julia Carey. 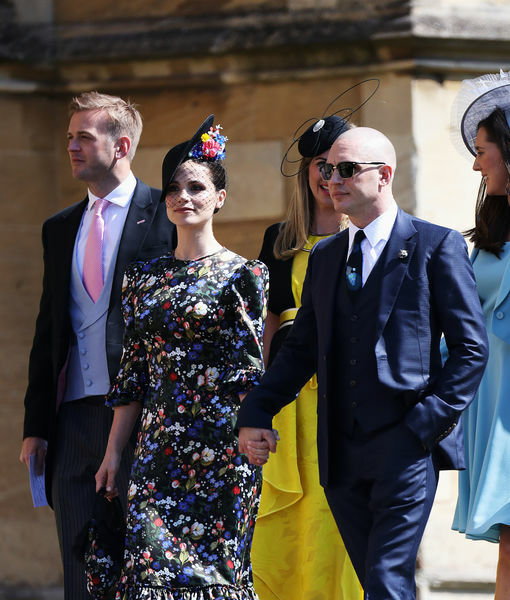 Actor Tom Hardy, debuting a freshly shaved head, wore a ribbed blue suit and arrived with partner Charlotte Riley, who wowed in an intense floral print on black. Flower power was everywhere, with British actress Carey Mulligan arriving with hubby Marcus Mumford of Mumford and sons in an ankle-length gown adored with yellow and salmon flowers and vivid green sprigs, offering the perfect air-of-spring look. "You're beautiful," Mr. Blunt must've said to wife Sofia. Singer James Blunt's wife Sofia Wellesley also went for flowers, wearing a gown beautifully embroidered with a rainbow of petals. The high quotient of celebrities threatened to overshadow the many royals in attendance!